Home | Enersol - Heating pools since 1979. The best pool heating solution! Warm pools are more fun! The most efficient way to heat your pool! Welcome to Enersol! Enjoy your pool and extend your swimming season without the burden of added pool heating cost. Add up to 15 °F to your pool FREE from the sun! The most cost-effective and efficient way to heat your pool! sizing a system is simple! The Best Way To Heat Your Swimming Pool! 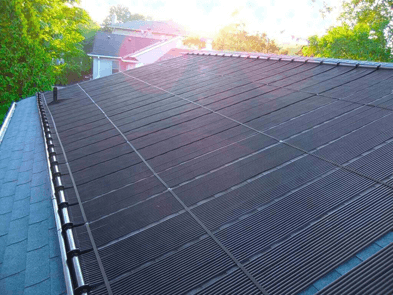 The Longest Lasting Solar Pool Heater Available! 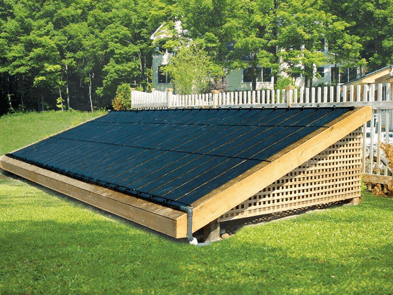 New To Solar Pool Heating? Enersol Solar Pool Heaters are your best solution! Our straightforward systems run pool water through the panels where it is warmed by the sun. Our Enersol solar pool heating system can raise the average temperature of your pool by up to 15°F. Our system uses your existing pool pump; all you need is a sunny location! 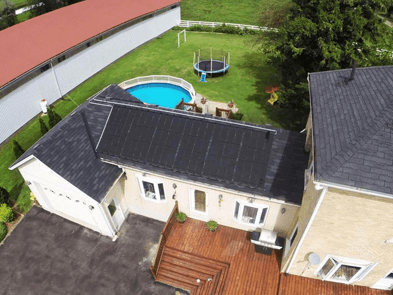 No additional pool heating cost! When considering a heat source for your pool, you only have to look up to realize the primary benefit of solar heat – it’s free heat from the sun! With uncertainty and rising costs in the gas and power markets, the price for solar will not change. It will be free for life!